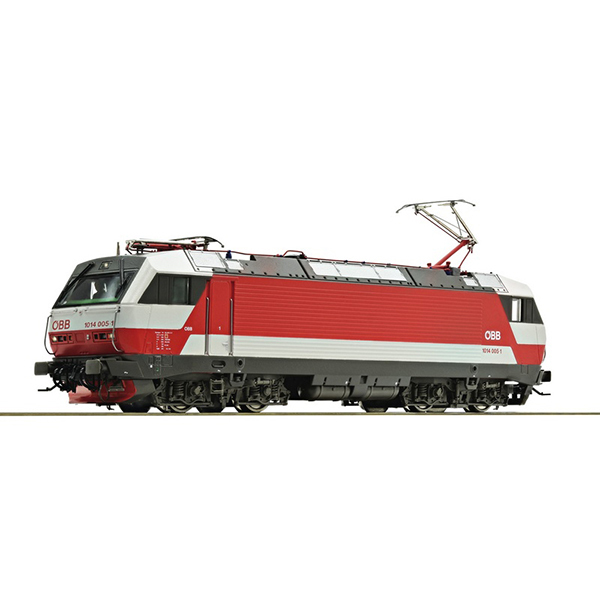 Electric locomotive 1014 005 of the Austrian Federal Railways. Epoch V-VI. Model Description: Motor with flywheel. Drive on four axles. Interface according to NEM652 standards for the adaptation of a digital decoder. White and red triple headlights that change with the direction of travel. Coupler pocket according to NEM 362 standards and close coupling mechanism.